a better photo of my new desk layout, originally uploaded by catelinp. Here's a better photo of the new setup on my desk at work. And once again my MacBook Pro came to work today. 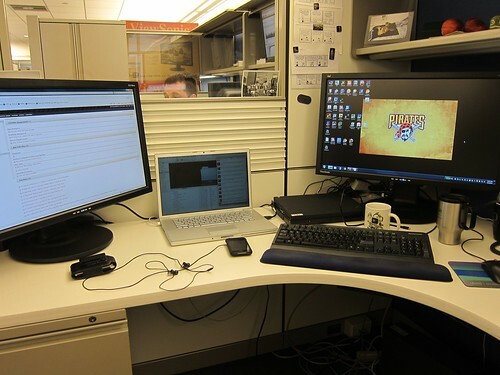 Great blog, I must admit your desk looks a hell of a lot cleaner than mine! I must have a crisp packet for every flavour on there! I'm new to blogging so if you could come and check my blog and website out that would be great.